I must admit that I have now bought a few, carefully chosen, inexpensive pieces just to update my wardrobe. Inspired by a black, long-sleeved bodysuit with a draped waist in the SAINT LAURENT Spring/Summer 2019 collection, I bought this black crepe blouse from the H&M Divided range. 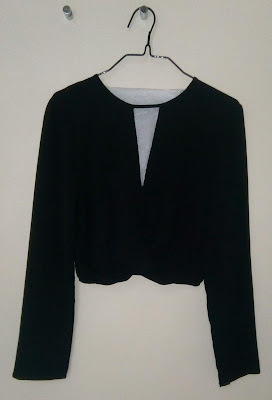 With long sleeves, a narrow, deep V cut out at the front and draped detail at the waist, I thought it echoed the mood. The original price was £12.99 but as it was an H&M Club*14% off day, I actually paid £11.17. 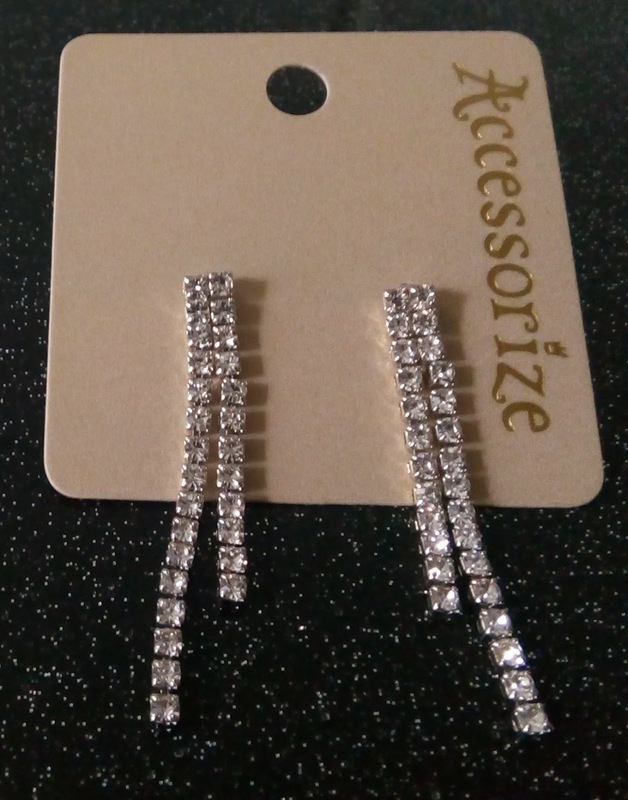 Then I saw these "slinky diamante earrings" at Accessorize, which will be perfect worn with the blouse. 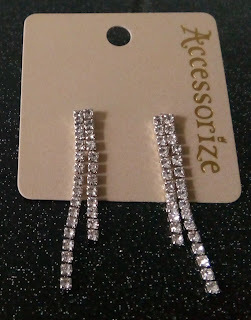 Originally priced at £7, I bought them on a 20% off day for £5.60. Cycling shorts, trendy in the nineties, are back in fashion this season. They even appeared in the CHANEL Spring/Summer 2019 Collection, worn with CHANEL jackets. That's good news for those of us who want to wear shorts, but not short shorts! 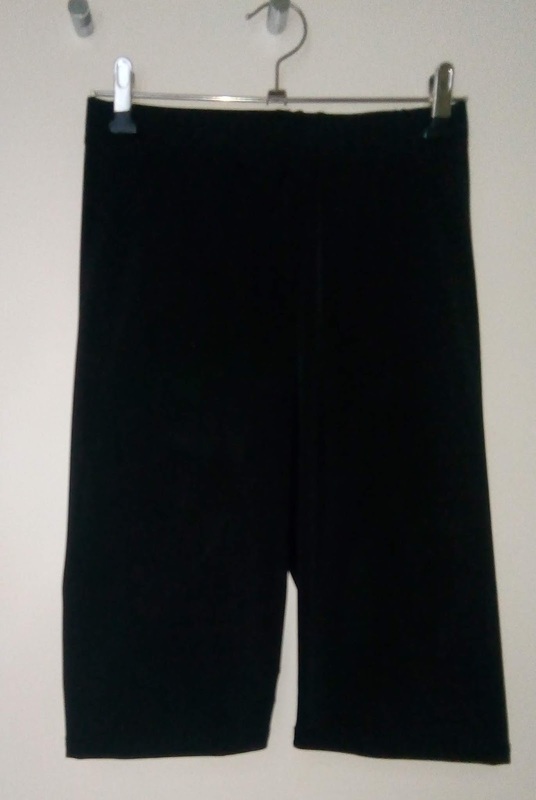 I bought these black cycling shorts at Primark. 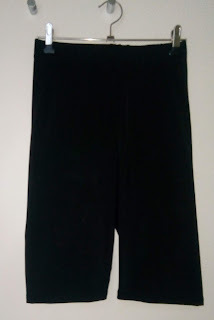 Made in a polyester and elastane material, they have a silky finish. They come to just above the knee on me, which is perfect because I don't want to display my thighs! Price - £5. Hairbands have become very fashionable again, including folded scarves tied around the head. 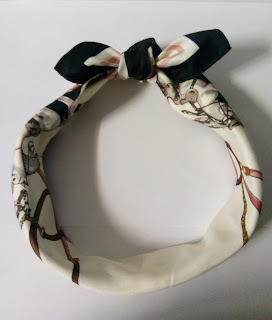 This wrapped and folded scarf/hairband from H&M was designed to be worn either as a hairband or tied around the neck. Unfolded, it's actually a 53cm x 53cm square scarf, made in a polyester silky material. The equestrian pattern and the colours (black, gold, pink, brown on a white background) give a look reminiscent to a vintage Hermés scarf! Price - £6.99. *Joining H&M Club means points on all purchases, offers and discounts and other benefits. NONE OF THE ITEMS FEATURED IN THIS POST WERE GIFTED. WEARING DIAMANTÉ WITH A SWEATSHIRT!